The W.C. 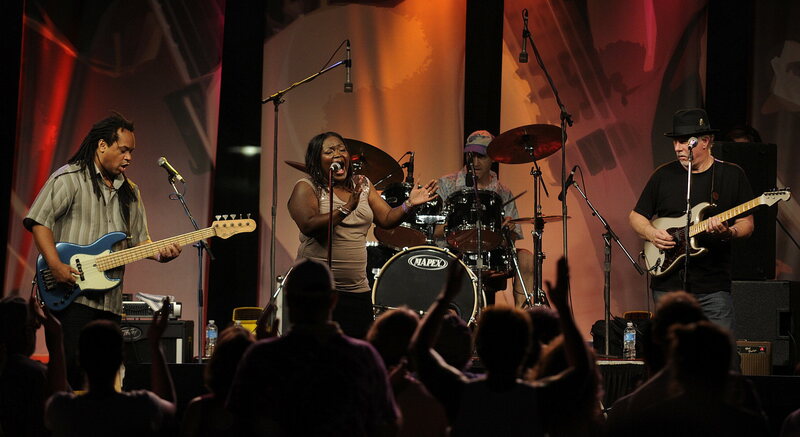 Handy Blues & Barbecue Festival, which kicked off last Saturday with the “Taste of Henderson Barbecue” continues today through Saturday, June 20 with a great music line-up at Audubon Mill Park on the riverfront. Tonight’s “Zydeco Night” features cajun food and upbeat Zydeco tunes. Friday and Saturday boasts some of the biggest names in blues, kids activities and a street full of delicious food. For after party information click here. 8:00 Ronnie Baker Brooks Big Band – Ronnie’s band plus 3 horns! The event has been named a “Top 10 Summer Event” by KTIA and a “Top 20 Summertime Event” by the Southeast Tourism Society. The presenting sponsor of this year’s event is Field & Main Bank. For more information about the festival, visit www.handyblues.org or call the Henderson County Tourist Commission at (270) 826-3128.